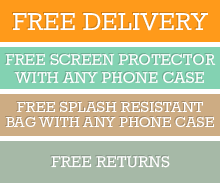 Features: The phone case is specifically designed to protect your phone from scratches, dirt, oils, and other debris. It was made with the right dimensions for your iPhone XS MAX, making sure every edge and corner of your phone is well-protected. Material: The phone case is made from high-quality, genuine Black cow leather. Its material is tough and made to endure the wear-and-tear that comes from everyday use. Design: The Black leather phone case is minimalistic and stylish with its design. Its elegant style and simple color matches any ensemble you put on, whether it's formal or casual wear. Incorporating an everlasting avant-garde design, the case is crafted by skilled artisans with full attention and strict quality control to ensure that the case is a top quality product. Its slim fit doesn't add too much bulk to your device and can fit anywhere, from your bag to your pocket. Click the button below to add the iPhone XS MAX Case Black Genuine Crocodile Leather Back Shell Cover to your wish list.